Peanuts and straight peanut butter are a choking hazard for infants, doctors say, but a bit of watered-down puree of peanut butter, starting at around 6-months-old, can help prevent peanut allergies. Peanut allergies can be among a parent's biggest worries, though we've had good evidence for more than a year that when most babies are 6 months old or so, introducing foods that contain finely ground peanuts can actually reduce babies' chances of becoming allergic to the legumes. Even so, many parents are scared to do that. At this week's annual scientific meeting of the American College of Allergy, Asthma and Immunology in San Francisco, doctors are discussing the coming federal guidelines about how and when to safely add peanuts to an infant's diet. The final version, being developed under the auspices of the National Institutes of Allergy and Infectious Diseases, won't be released until early next year. But Dr. Amal Assa'ad, an immunologist and allergist with the Cincinnati Children's Hospital Medical Center who helped write the recommendations, offered Shots a hint of where she and her colleagues are headed. First, parents need to know whether their infant is at high risk of developing a peanut allergy, Assa'ad says. Signs of that include a history of severe eczema -- which causes dry, itchy skin and rashes — or an allergy to eggs. If your infant falls into that category, she says, ask your pediatrician whether the baby should be further checked by an allergist for a particular sensitivity to peanuts. Even most babies who show that sort of sensitivity can be introduced to age-appropriate foods containing peanuts and get the allergy-preventing benefit, she says, though in some cases doctors will advise the introduction take place in the doctor's office, not at home. Still, under no circumstance should parents feed their babies whole peanuts, which is a clear choking hazard, cautions Dr. Ruchi S. Gupta, a pediatrician and immunologist at Northwestern University, in an ACAAI video aimed at parents. Even peanut butter can be risky at that age, Gupta explains, because it's thick and sticky. The best way to introduce the food, she says, is to add hot water to 2 teaspoons of peanut butter to make a warm puree. Put a little of this puree on the tip of a spoon and feed it to your child. Then wait and watch for 10 minutes, she advises, checking the baby for any negative reaction, such as hives, a rash, behavior changes or trouble breathing. If all is OK you can continue to feed the puree slowly; but keep an eye on the child for about two hours. If the baby continues to show no signs of an allergic reaction, Gupta says, it's safe to continue, adding other peanut-containing foods as time goes on. So peanut allergies can be one of parents' biggest worries. And we've known for a few years that feeding babies food that contains a small amount of peanuts can actually reduce their chances of becoming allergic. Even so, many parents are scared to do that. The American College of Allergy, Asthma and Immunology is currently discussing proposed guidelines to help them try it. Here's NPR's Patti Neighmond. PATRICIA NEIGHMOND, BYLINE: The guidelines won't be officially released by the government until early next year. But when they are, they'll show parents how to safely introduce peanut products into their baby's diet to prevent allergies from developing. 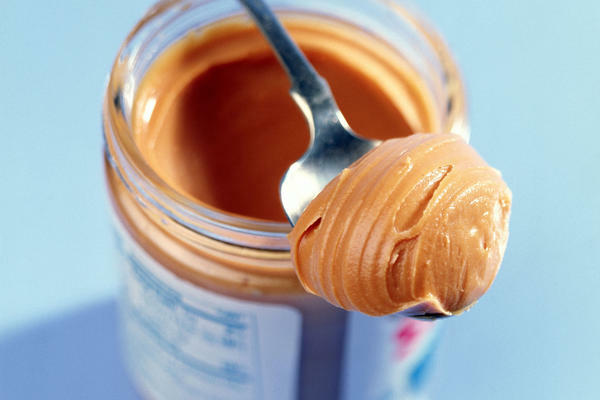 First off, parents will need to know if their child is at high risk for a peanut allergy. These are children with severe eczema, dry, itchy skin and rashes and those who are allergic to eggs. Immunologist Amal Assa'ad, who helped write the new guidelines, says as many as one-third of these children will develop a peanut allergy. AMAL ASSA'AD: They target this group of vulnerable children. They give them a way to prevent them from developing the peanut allergy that they were destined to have. NEIGHMOND: The prevention guidelines are based on dramatic findings from a large study where high-risk infants were fed a liquidy peanut butter puree three times a week. ASSA'AD: After five years, those who were fed this were found to have much less peanut allergy than those infants who were - totally avoided peanuts until 5 years of age. NEIGHMOND: Feeding pureed peanuts actually reduced the risk of allergy by 80 percent. So how do you do it? The first guideline is, if your child is high-risk, check with your pediatrician or allergist first. Initial peanut butter feedings may have to be done in their office so the child can be carefully monitored. But for all other children, it can be done at home at around 6 months old, after the child has started to eat solid food. RUCHI GUPTA: Now, it's very important not to introduce whole peanuts. And I want to make that very clear because that is a choking hazard. NEIGHMOND: Researcher and pediatrician Ruchi Gupta says even plain peanut butter, which is thick and sticky, can be a choking hazard. GUPTA: So the easiest way is to take two teaspoons of peanut butter and mix it with some hot water and make a puree out of it. NEIGHMOND: Take a tiny bit, put it on the tip of a teaspoon, feed it to your child, and then wait and watch for 10 minutes. GUPTA: If they're doing OK, then slowly feed it to them over the course of 30 to 40 minutes. And if they are comfortable, then that's excellent. NEIGHMOND: Watch your child for two more hours. And if there's no allergic reaction, Gupta says it's fine to introduce peanut products in their regular diet. Patti Neighmond, NPR News. Transcript provided by NPR, Copyright NPR.